Michigan Attorney General Bill Schuette has accused an energy company of scamming some northern Michigan landowners out of oil and gas lease payments. The attorney general’s office filed criminal charges today in Cheboygan. A controversial method of drilling for oil and gas could be coming to the Au Sable River, and to the most revered part of the watershed for anglers. 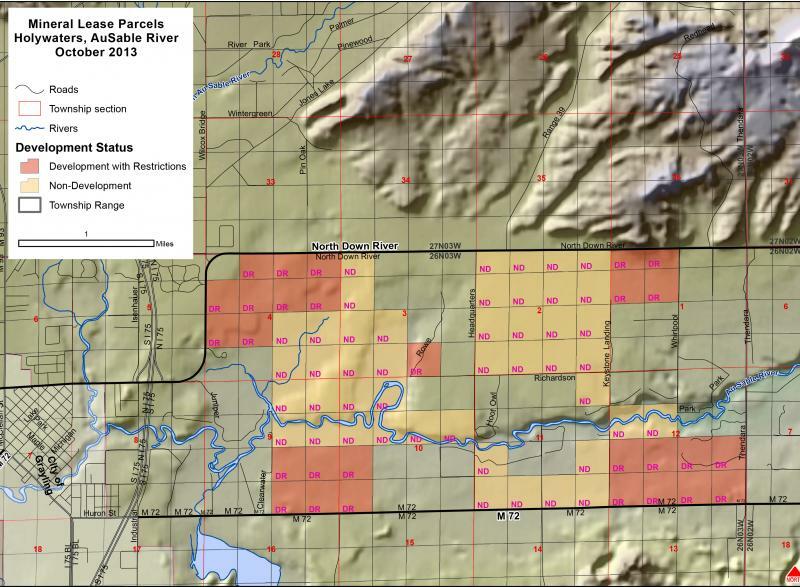 Leases to drill for oil and gas minerals under state land east of Grayling were sold to Encana at an October auction. The land in question is along the stretch of river called the Holy Waters and known for its trout fishing. The energy company has fracked deep shale wells in Kalkaska County and other parts of northern Michigan. State environmental regulators sent a notice of violation to a Kalkaska company last Friday. The DEQ says the company, Team Services, violated its permit for applying brine from oil and gas drilling to keep down road dust in Benzie County. A sample taken by the Benzie County Road Commission exceeded state standards for toxic chemicals, such as benzene, by as much as a thousand times. The brine was applied in early June on several roads southwest of the village of Lake Ann.